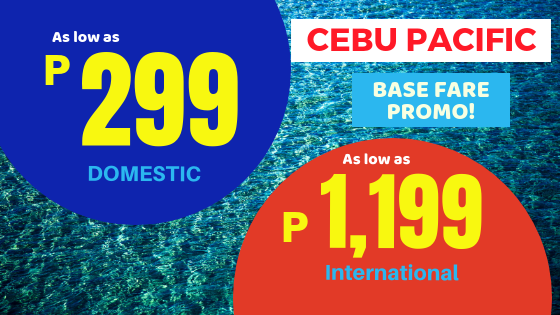 To see THE LATEST CEBU PACIFIC and CEBGO promo fares, please go to CATEGORY/CEBU-PACIFIC. 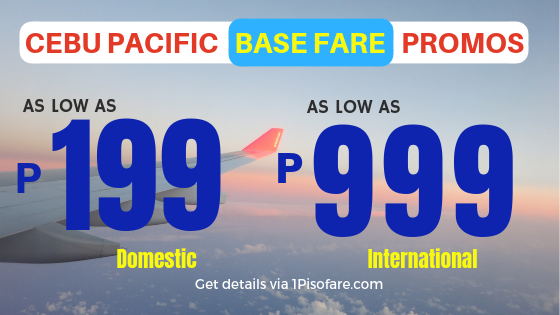 This is where our website 1PISOFARE.COM updates on Cebu Pacific Air latest promo tickets and sales for both domestic and international. Thank you! 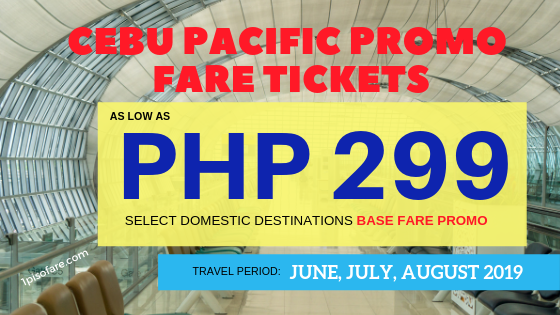 Start looking for those CebGo and Cebu Pacific promo tickets for 2019, 2020 and more! 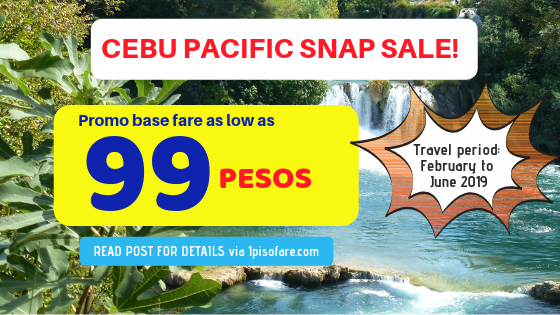 Grab this Cebu Pacific One-Day SNAP SALE as low as 99 pesos for select domestic and international destination! Don’t miss this promotion for 2019 travels. 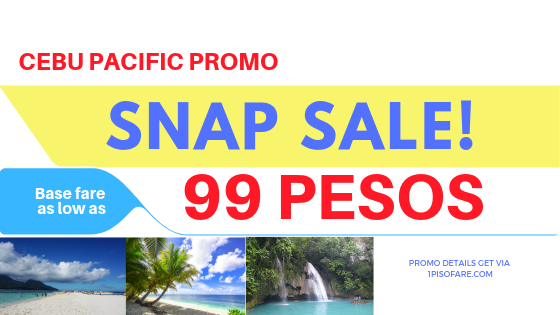 2019 Lots of Destinations On Promo – Cagayan de Oro, Camiguin, Tagbilaran, Kalibo, Butuan, Dipolog, Dumaguete, and more!! !